Blip.fm is internet radio made social. It's easy to search for, play, and discover free music recommended by real people. 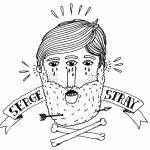 Join today to create your own free station and start listening to @SergeStray. SergeStray Finally I found this song on Youtube! SergeStray From Dylan LeBlanc's new album Cautionary Tale! SergeStray From new album Come Along Wind! SergeStray My fav from her new album Skatches of Belonging! SergeStray I wonder where is my good friend from last.fm Marybeth?